Days before Mr. Mattis winged his way to the Pakistani capital, CIA director Michael Pompeo warned that if Pakistan failed to act decisively against groups like the Taliban and the Haqqani network, the United States would. That would likely involve an expanded drone war against militants in the troubled provinces of Balochistan and Khyber Pakhtunkhwa as well as possible sanctions that go beyond existing cutbacks in aid. 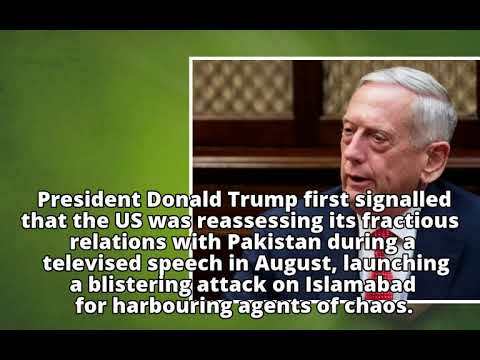 Mr. Mattis visited Islamabad at a moment that ultra-conservatism’s sway was manifesting itself with the emergence of hard-line political parties that look set to do well in elections expected next year. Mr. Saeed, the leader of Jamaat ud-Dawa, widely seen as a front for Lashkar-e-Taibe, one of the largest and most violent groups in South Asia, which he founded, has longstanding ties to Saudi Arabia as well as to Ahl-e-Hadith, an ultra-conservative, Saudi-backed religious group. Mr. Saeed stands accused of having masterminded the 2008 Mumbai attacks during which 164 people were killed. He was last month released from ten months of house arrest by a Pakistani court. Graffiti on the walls in the corridors of the court building demand that blasphemers be beheaded. "This is a gift from us to you," the general tells a bearded man. "Aren't we with you too?" Patting another protester on the cheek, Major-General Hayat says: "God willing, we'll get all of them released," in a seeming reference to arrested protesters. "This is all we had in one bag. There's some more (money) in the other," the officer added. Mr. Abu Turab is a leader of Ahl-e-Hadith that operates a string of religious seminaries in Balochistan along the Pakistan-Afghan border, a region heavily controlled by the military. He is also a board member of Pakistan’s Saudi-backed Paigham TV and heads the Saudi-funded Movement for the Protection of the Two Holy Cities (Tehrike Tahafaz Haramain Sharifain), whose secretary general Maulana Fazlur Rehman Khalil too has been designated by the Treasury. Mr. Abu Turab serves on Pakistan’s Council of Islamic Ideology, a government-appointed advisory body of scholars and laymen established to assist in bringing laws in line with the Qur’an and the example of the Prophet Mohammed.